We are offering Sandy Grey Grain Finish Ultima Espana Roofing Sheet to our clients. 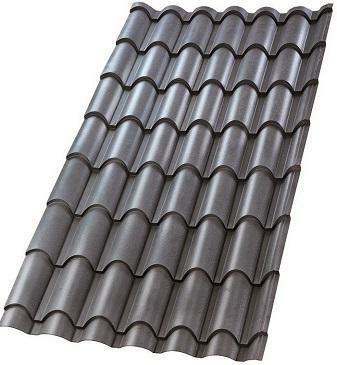 We are offering Chocolate Brown Grain Finish Ultima Trafford Roofing Sheet to our clients. We are offering Walnut Wood Finish Natura Espana Roofing Sheet to our clients. We are offering Chocolate Brown Grain Finish Ultima Espana Roofing Sheet to our customers. We are leading Manufacturer, Wholesaler, and Retailer of a wide range of Espana Roofing Sheet, Euro Tile Roofing Sheet, Rain Drain System etc. We, George & Company are one of the leading Manufacturer, Wholesaler and Retailer of an excellent quality of Espana Roofing Sheet, Euro Tile Roofing Sheet, Rain Drain System etc.